Kangaroo Paw Red is an early-season regular leaf dwarf​ and is the direct parent of Kangaroo Paw Brown, Kangaroo Paw Yellow and Kangaroo Paw Green. 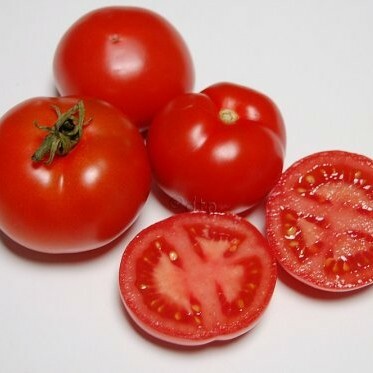 This variety has abundant small red fruits that have a robust full tomato taste. Photo by Patrina. Kangaroo Paw Red originated from a cross between Budai Torpe and Cherokee Green made by Patrina Nuske Small in 2005 named Witty F1. Kangaroo Paw Red is an early-season regular leaf dwarf​ and is the direct parent of Kangaroo Paw Brown, Kangaroo Paw Yellow and Kangaroo Paw Green. This variety has abundant small red fruits that have a robust full tomato taste. Plants have sturdy stems, robust rugose foliage, and reach about a metre+/ 3-4 ft by end of season. This variety was selected and named by Patrina Nuske Small.